It may sound a little out-there for some people to use crystal-infused skin-care products or to rock a sheet mask on a plane, sure—but at least it’s pretty obvious how to use them. There’s one top-shelf staple, though, that you might be missing out on because it’s one of the least understood: retinol. The vitamin A derivative (mostly found in serum form) is mysterious because, honestly, there’s some confusion about how it’s used, how often it should be applied, what it can do to your complexion, and whether it requires a prescription (nope, that’s Retin-A). And yet, beauty insiders rave about it. “If there’s one thing out there that people who are serious about improving their skin quality should be using, it’s some form of retinol,” says Marie Veronique Nadeau, chemist, natural skin-care guru, and founder of her eponymous beauty line. Keep reading to find out why retinol is so powerful, how to use the all-star ingredient, and what to look out for when you’re shopping for products. What makes retinol so special? And its benefits are recognized by doctors as well as aestheticians. 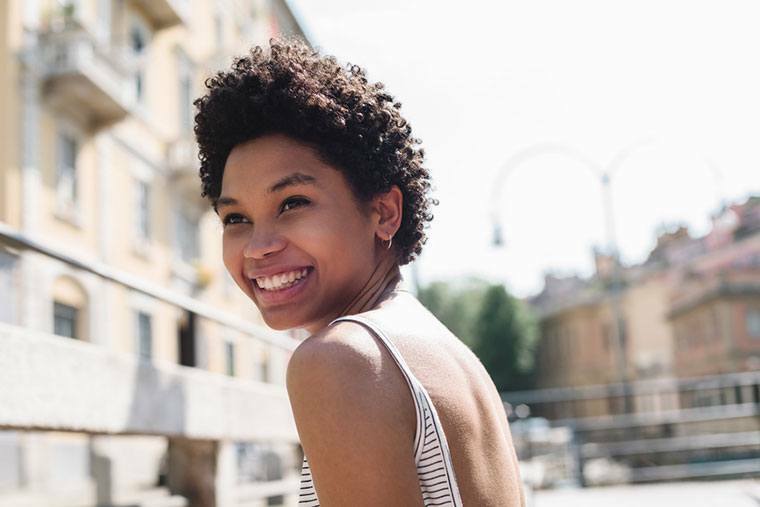 New York City-based dermatologist Samer Jaber, MD, for example, has seen it tame acne, brighten the complexion, and make skin look more youthful among his patients. Though retinols are most powerful when used daily, most people have to work their way up to handling that—via a sometimes-frustrating process called retinization. “As you’re getting a lot of normal cells driving out the damaged cells, it can look like peeling and redness on the surface,” says Nadeau. That’s why many people get deterred from keeping the star ingredient in their routine—but she’s adamant that you just have to get past that point. “Try every other night to start,” she says. To help your skin get used to it, Nadeau recommends using serums that help your skin’s barrier function–which you can do with products containing ceramides, phospho lipids, amino acids, sodium PCA, and free fatty acids. Besides that, it’s important to be diligent about sunscreen when using retinol products. “Wear a broad-spectrum mineral-based sunscreen, and stop using retinol a week leading up to any beach time,” she adds. Oh, and don’t use it if you’re pregnant or breastfeeding. If you go to a store looking for retinol, you’ll quickly realize that deciphering all the different variations and percentages is like learning a new language—it’s definitely tough to navigate when you don’t know what you’re looking for. Opt for proper packaging. Be sure it’s packaged in an airtight, opaque bottle—no see-through plastics here, please. Check the percentage. You’ll typically find retinol at percentages between 0.1 and 0.7 percent, with 1 percent being the highest you can buy. “If you get between 1 and 0.1 percent retinol, you’re good,” says Nadeau. Nix artificial ingredients. If the serum has fragrance or large amounts of denatured alcohol, find something else—these can lead to unwanted skin irritation or increase the risk of a reaction. Look for vitamin C. It’s like the almond butter to retinol’s (sugar-free) jelly. “There are studies that show vitamin A and C work synergistically together, so that you’re getting the benefits of both when it comes to building collagen,” says Nadeau. Choose natural. A few clean-beauty formulations to try: Marie Veronique’s Gentle Retinol Night Serum ($110), Goldfaden MD’s Wake Up Call Overnight Treatment ($85), and MyChelle’s Remarkable Retinal Serum ($47). As for the rest of your regimen, here’s what why you might need a balm, oil, or serum. And when in doubt, follow the 10 skin-care commandments facialists live by.